Wednesday saw one of nature's recurring wonders at Mexico's La Escobilla beach. Up to 200,000 Olive Ridley sea turtles emerged from the ocean to lay up to 15 million eggs. Erika Peralta Buendia, the biologist in charge of this stretch of beach sanctuary, said that many turtles arrive with fishing equipment and garbage wrapped around them which slows them down. "And, this can mean that at any moment they can lose mobility in their extremities or even completely lose the extremity," she said. The species remains vulnerable however as only a tiny fraction of the young will reach adulthood. Due to the concentration of nests, La Escobilla is among the most important nesting sites. 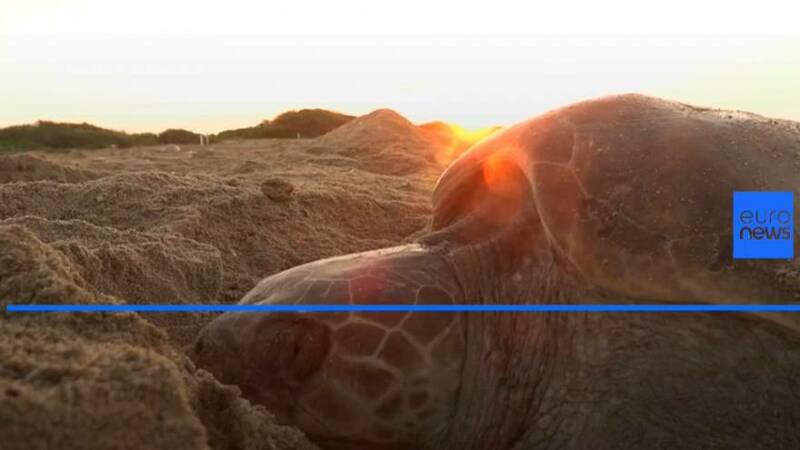 The beach sees between seven and eight waves of nesting marine turtles per year.